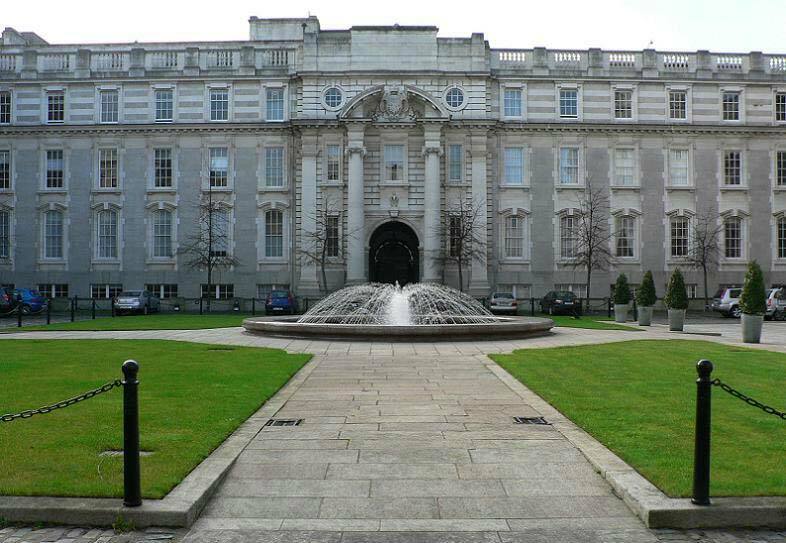 Ryanstone carried out the restoration of the black and white marble floor tiles in the main corridors together with the marble walls and stairs of the old college of science which was later to become the department of the Taoiseach. Ryanstone also replaced the damaged Limestone Window head stonework over the Taoiseach’s office which was located in Merrion Street Dublin at the time together with the restoration and repair of the entrance steps to the rear of Leinster house Merrrion Street Dublin. 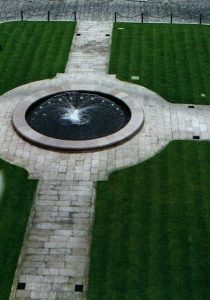 This image shows the new Ryanstone supplied fountain – We can manufacture fountains to any design. Along with the outside work Ryanstone also complete a vast amount of internal Stonework. Other works involved the removal and replacement of existing granite walls and rebuilding in a new location. Ryanstone also supplied and fitted granite for a new wheelchair access ramp. which included stub walls and the supply of tactile blister and corduroy paving. This also included the removal of the main stair window sill and several courses of granite ashlar under, rebuilding the sill at a lower level in order to accommodate the beautiful stained glass window at main staircase at the main entrance of the building. Work was also carried out on the restoration and repair of the entrance steps to the rear of Leinster house. The window heads at the rear of the building which had failed were also removed and either repaired or replaced with new Natural Stone window heads The main contractor for the refurbishment of government buildings was Mc Inerney Architects Office of Public works. 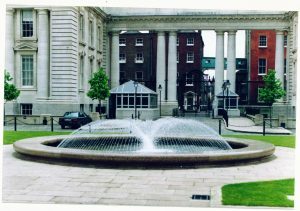 Following the above contract Ryanstone fitted Wicklow granite for a wheelchair access ramp to the Kildare street entrance of Leinster house and later supplied paving setts to the Kildare street entrance. The restoration of Goverment Buildings took place in 1991.